4 April 2014. Brussels. Brussels Development Briefing on ‘Realising the Promise of Agriculture for Africa’s Transformation’. 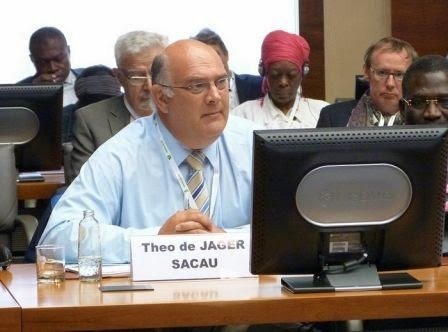 This 36th Briefing was timed to coincide with the 4th Africa-EU Summit, and the panel was organised by the ACP-EU Technical Centre for Agricultural and Rural Cooperation (CTA), in collaboration with the European Commission and the AU Commission. Paulus Verschuren, Special Envoy for Food and Nutrition Security, The NetherlandsZero hunger, zero malnutrition: what does it imply? 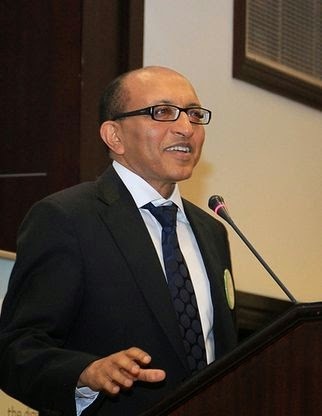 "In recent years, there has been a lot of optimism about Africa Rising. With the majority of the world's fastest growing economies, increasing foreign investment, less conflict and more democracies than at any other time in the continent's history, the optimism is well-justified. However, we still face major challenges. Among these is the fact that agriculture remains an unattractive option for many of our young people in rural areas. To absorb some of the 11 million young people entering the labour market every year in Africa, agriculture must become a growth sector, a source of prosperity and a global business. As agriculture is modernised, many new specialised jobs are created... jobs that are particularly well-suited to well-trained youth. But it must capture their imagination. And to do this, we must transform the image of agriculture from a low-paying, tedious occupation to one that is profitable, modern and respectable." He emphasised that a major priority was attracting investment into agriculture. "Through the CAADP process, encouraging progress has been made in mobilising domestic and international resources (both financial and technical) in support of agricultural investments. However, a lot more needs to be done to transform African agriculture to a more profitable and sustainable pathway. Real change in African agriculture depends not only on improved seeds and additional fertilisers. It requires greater investment in research and innovation so that more of Africa's agricultural growth comes from productivity increase rather than land expansion. It also depends on integrating smallholders into value chains, on access to finance, on sustainable management of natural resources and on creating an enabling environment for smallholder agriculture to grow and flourish, with strong institutions in place to support it." Senior representatives of private sector companies, involved in the provision of agricultural services and financial solutions, were enthusiastic about the prospects for new business in Africa's growing agricultural sector. Is agribusiness good for Africa?